E3, the biggest video game trade show on the planet, is ramping up next week. Most of the news will only be relevant for PC and console gamers, but a few of the mega-publishers will be announcing mobile fare too, and Square-Enix is getting ahead of the pack. Along with a new primary entry in its futuristic post-human action series Deus Ex, the publisher has announced Deus Ex GO, a mobile game with similar elements to the existing Lara Croft GO and Hitman GO titles. It'll be available on phones and tablets "this summer" according to the reveal trailer. Square Enix is always in the news on Android Police for good reason. The publisher has been actively releasing (or re-releasing) games on our favorite platform, even recently going as far as to commit to a mobile-first strategy. That's the case with Hitman: Sniper, a game developed specifically for touchscreens and available on Android and iOS starting today. Sniper takes a different approach from its predecessor, Hitman GO. Gone is the turn-based strategy gameplay, and you're instead in Montenegro, standing in a fixed position in the shoes of Agent 47 who gets handed a series of contracts that he has to execute as subtly and inconspicuously as possible. The Hitman games have been a staple of third-person stealth action for years. I still remember playing the original on PC many moons ago and being absolutely floored at the detail-oriented gameplay – you had to actually hide unconscious bodies to avoid raising the alarm and disguises only worked so well. Gaming as a whole has advanced considerably since then, but Hitman GO is an attempt to distill that stealthy combat experience into a clean and easy to play package for mobile devices. So, will it strangle your free time? When I say this title is modeled after a board game, I definitely mean it. 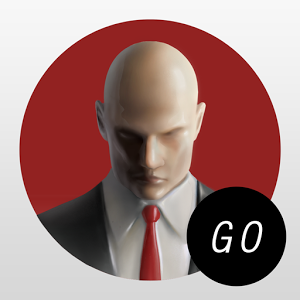 Agent 47 is back, but this time he's a bit less animated. 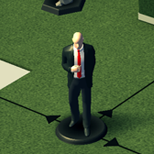 In fact, he and all the guards he's going to strangle are game pieces in the new Hitman Go from Square Enix. This is a strategy game that aims to keep all the core strategic elements of the Hitman games while making it more playable on a mobile device.